Local Windshield Repair – Why Choose Locally Owned and Operated ? Local Windshield Repair – Why Choose Locally Owned and Operated? Should you choose local windshield repair over the national big boys? The choice is up to you but here are a few advantages of choosing a locally owned and operated windshield repair company, such as Windshield Repair Doc, over the national competitors. When you call Windshield Repair Doc, you’ll never get an automated phone service, a snippy receptionist or even an answering service who merely gathers your contact information for a call back later. You’ll always speak to one of the owners who will answer all your questions at the time you call. Because you are always dealing with one of the owners, you’ll get quality customer service every time. Because we build our great reputation with happy customers, we treat every customer as they should be treated and not just a number. A lot of larger companies will only patch up your windshield chip or crack with a cheap pit filler knowing very well that this chip will run soon. They realize that when it does run, you will call them back for a windshield replacement. More money for them, a lot of headache for you. 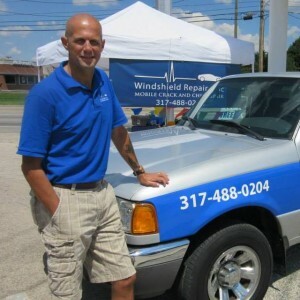 Windshield Repair Doc only specializes in repairing windshield chips and cracks. Our goal is to save your windshield and not just patch it up temporarily. We do the best work to ensure your chip or crack never runs! If you think a locally owned company cannot beat the prices of the larger national companies, think again. Windshield Repair Doc does not over charge our customers. Most of the time our prices are lower than our national competitors. Windshield Repair Doc is an affiliate with most auto insurance companies. We can offer free windshield repair to you because your insurance company pays us directly. The best part is that you pay no deductible and your rates will not increase. Read more: Why do insurance companies pay for windshield repair? Call today for the best local service and prices!